TUMWATER – Assistant Secretary Mac Pevey has named David as the Section 4 Field Administrator in the community corrections division (CCD) within the Washington State Department of Corrections, effective November 16, 2017. Section 4 covers Pierce County. Thomson currently serves as the community corrections supervisor in the Shelton Field Office, where he was promoted in 2015. David Thomson began his career in state service with the Washington Department of Corrections in 1995 as a correctional officer at Washington Corrections Center (WCC) in Shelton, Wash. While serving for four years at WCC he was assigned to all levels of custody, served as an annual in-service instructor, and participated as a member of the emergency response team (ERT). In 1999, Thomson was hired in the Pierce County Special Needs Unit, where he managed a mental health caseload across the county. He promoted to community corrections supervisor of Grays Harbor and Pacific counties in 2012 where he worked until moving to the Shelton Field Office. 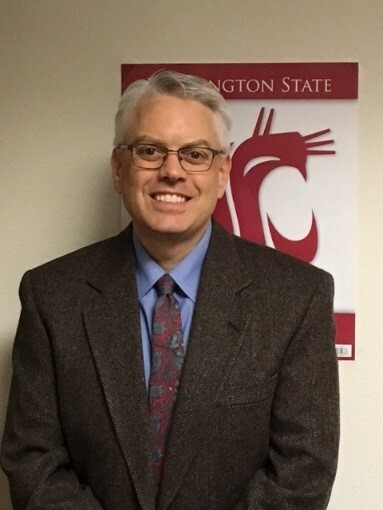 Thomson earned his Bachelor of Arts in Criminal Justice from Washington State University. Additionally, he sits on the Board of Directors of the Olympia United Soccer Club. Thomson takes over from Kristine Skipworth, who accepted the position of regional community corrections administrator for the eastern region of Washington on September 18, 2017.